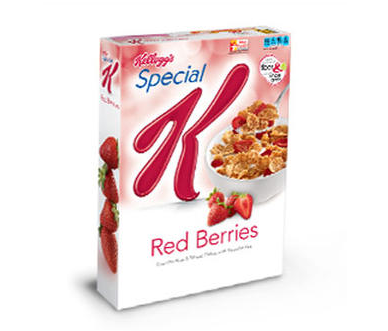 Kellogg’s for a Happier, Saner Diet? Founded in 1906, the brand Kellogg’s is one most of us have come to know and love throughout our lifetimes. What might surprise you to learn is that the company was founded by Will Keith Kellogg based on practices he’d picked up at the Seventh-Day Adventist Church. Kellogg was an employee at the Battle Creek Sanitarium, and he tried to get his patients back into good health with a better diet. He kept them on a low-fat, low-protein diet with plenty of whole grains and foods rich in fiber. Nuts were another major factor in his diets, as was a daily intake of fresh air and exercise. The first cereal he produced still exists today. Did you have your Corn Flakes today? If so, you indulged in a recipe that is now almost 100 years old. Kellogg also took some strides to help the American worker too. When World War II began, Kellogg dropped his staff to a thirty-hour work week so he could afford to hire a new crew and pay fair wages. He even continued this practice up until 1980. Kellogg’s has many brands under its label thanks to its numerous acquisitions over the years. Eggo and Pure Packed Foods are two brands that give us some memorably products, namely Eggo waffles. It was criticized frequently for not scaling in the same fashion as General Mills and Quaker Oats, who diversified and acquired multiple companies to build their product offerings. Yet Kellogg’s has a track record of being serious about diets and healthy living. It chose not to focus offering on the competitive and sugary kid’s market, instead pivoting to healthier options aimed at the US’s aging population.